Out of curiosity what are you looking to do to it? 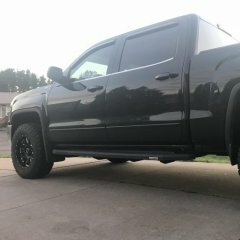 Also my friend has a 2018 Silverado and he may be taking his off soon, hes got the fog lights and its a brand new bumper. I love it, it's incredible. I previously upgraded from a canyon with the little v6 so the 6.2 was a nice upgrade! I didn't start a build thread but I guess I could share the pictures somewhere! Is this the proper topic to post all the pics of it? Are you vinyl wrapping the chrome bumper? If so, what color are you wrapping it in and how much vinyl did you buy?